The buddy team - how to make it work and what if it fails. Follow your diving course in English. Home » Where is my buddy? As recreational divers we learned it is advised to always dive with a buddy. Diving with a buddy makes diving more fun, safer and is in some countries even a legal requirement. The idea behind it is based on the fact that with two it is easier and less stressful to manage difficult situations or emergencies during the dive. We also learned the correct functioning of the buddy system is a mutual responsibility. Despite our training, incidents of divers becoming separated are not unusual. Whether consciously or by accident, divers can end up alone underwater during various phases of a dive and sometimes it results in potentially dangerous situations. From the definition we learn that the divers within a buddy team share similar experience, interest and skills and they monitor each other throughout the dive. When an emergency occurs they are ready to help each other in order to avoid major issue. A good buddy team agree on a dive planning, roles during the dive, signals to be used and a realistic objective prior to the dive. Each buddy members familiarizes with and checks his partners dive equipment in order to be able to deal with unforeseen events such as an out-of-air scenario. When diving in a group, the group leader should make sure all divers are aware of their buddy and that the group dive plan matches the plans of the individual buddy teams. It is good practice for a dive leader to re-emphasis each diver’s responsibility for his buddy team. Why does it go wrong? Divers become separated for many reasons. Dive buddies are dealing with things that absorb their attention, and as a result fail to properly monitor each other. When divers are only focused on their underwater task like underwater photography, a separation from their buddy system is likely. Despite a good agreement prior to the dive, environmental conditions, visibility, equipment problems and diver attitude can all lead to separated buddies. Stop swimming and remain where you are. Panic is your worst adviser. Look around for about 1 minute to see if you can find your buddy. Do this by rotating 360° slowly. Things to look for are bubbles (remember, only humans make bubbles under water), unusual colours under water (yellow fins, dive lights, …). While doing your search, make sure your buddy can see you. Slowly moving your own diving torch up and down will make you more visible for your buddy. Also making a sound (banging your knife on your tank for example) will give him some idea of direction. After you spend a minute of looking for your buddy, your next step is to ascend slowly to the depth of about 5m. When you reach the 5m, deploy your surface marker buoy (SMB) to help your buddy who may already be at the surface know where you are while doing your safety stop. If you do not have an SMB (which should not be the case as an SMB is a standard equipment for each diver) you might consider skipping your safety stop. Also during your safety stop, keep looking out for your buddy doing slow 360° surveys. When you reach the surface, look for nearby bubbles and look below you. Call out to your buddy several times. If you and your buddy had a dive plan, your buddy will be doing the same procedure as you and will appear at the surface close to where you are. If water conditions are not favorable return to the dive boat and report your missing buddy. Return to the dive boat or shore. In your dive plan with your buddy, you would know how long to wait at the surface, if the time exceeds that limit (it should only be a couple of minutes), make your way back to the dive boat and report your buddy as missing. How to prevent buddy separation? Include buddy separation risks when planning dives, and make certain that the dive objective, the used equipment and the dive conditions do not increase the risk of separation. Remember the dive begins once you step in the water. As such you both go down together! When diving in a group, don’t assume that everyone is looking out for each another. Each diver should have a buddy and conscientiously monitor that person. Avoid dive plans that are inherent in buddies to separate. In case of a Search and Recovery for example, make sure buddies can communicate using a line when distance between them increases. Distraction leads to separation. In case it’s part of the dive objective (e.g. one is doing underwater photography) the non-acting buddy will stay in close contact. When one diver leads and the other follows, the “lead” diver should never assume that the “follower” is following. Maintain visual or body contact throughout the dive. Don’t assume the dive has ended once you reach the safety stop. It doesn’t end until all divers are out of the water. What you need to know about Angel Sharks. Why do you want to work in the diving industry? How to turn a DSD into a unique dive experience? From novice to Go Pro divers Scuba Sur Gran Canaria has it all. 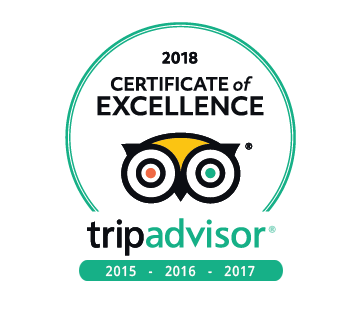 With an amazing team we provide a wide range of courses and recreational diving. 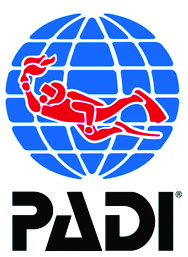 We are affiliated with both PADI and SSI. Come visit us, view prices or get the latest news via our blog. You know you're in good company when you're diving with Scuba Sur!